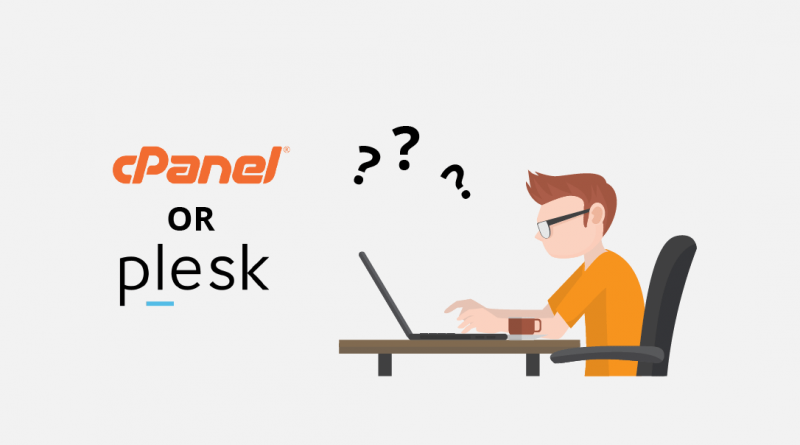 Plesk Vs cPanel : What Things You Need to Consider? For many IT related people, the control panel platform is a matter of importance and preference and therefore it is crucial to select the right control panel. There are fans for cPanel, Plesk and all the other control panels and people argue about the advantages and disadvantages of these control panels. The choice of the control panel boils down to your own personal needs and comfort with the interface! If you only want straightforward points about the features of cPanel and Plesk, sorting out the fact from opinion can get difficult. There is a simple fact about #Plesk and #cPanel and it is that the two applications are somewhat similar; they have many same features. Click To TweetBoth the control panels are capable enough of getting the job done and both of them cover the basics as well. Initially, the user interface might not seem so important. However, this is the first point of difference that many people notice between Plesk and cPanel. Moving between the two control panels is also one of the most difficult, tedious and complicated task. Plesk is a control panel with a cleaner and impressive interface that is organized with a standard software layout that many people are familiarized to. Similar to the admin panel of WordPress, its main menu is placed down the left-hand side and when an item is selected, you will find its content in the main panel. Additionally, there are a set of feature boxes placed on the right side of the screen. Icons for each of the main features can be used for easing the use. On the other hand, cPanel is highly popular and laid differently. Though the left-hand menu is missing, the features are grouped into sections which can be accessed by scrolling down. You can identify each feature with its icon, similar to Plesk. Furthermore, you can customize the interface with some options to find things easily. When it comes to organization of panels, the functions of cPanel are grouped under the preferences, files, mail, logs, domains, security, databases and software services. While Plesk has divided its functions into fields such as resource and statistical usage, mail, users, websites and domains, statistics and applications. Both the control panels permit users to have command line access. cPanel offers command line access as well as API-based access allowing interaction with third-party apps. The ‘Panel Action Log Command Line Access Tool’ is a tool through which command line access is offered by Plesk. Keep in mind that cPanel is extremely popular and wide spread, and some of the customized control panels are cPanel in disguise. 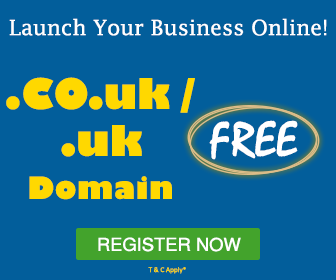 Do not strike off any web hosting company from your list that provides with a customized control panel as it may be more user-friendly than you expect. Since the developers have been working hard on boosting the performance of cPanel and it’s already been accepted generally that cPanel loads faster than Plesk. This improvement was achieved by reducing the amount of RAM required by cPanel, speeding up the page-load times within the panel as well as account creation and other sever management tasks. Same primary features are offered by Plesk and cPanel for server and account management. It is possible to manage email accounts, configure DNS settings, run FTP (File Transfer Protocol) and manage databases with both control panels. No doubt extra apps can be added to cPanel but even Plesk is supports several useful apps and extensions straight from the box. Plesk also supports Docker on Linux, with a catalogue of over 2000,000 Docker images that are possible to be launched from within the Plesk web hosting control panel. In addition, Plesk is compatible with Git via the Gitman extension. Docker and Git can run with cPanel by using some technique but it’s a much more complex process as compared to Plesk. A variety of security solutions are boasted by both cPanel as well as Plesk. Plesk offers security features such as fail2ban that helps in preventing intrusions, spam defencing for email and active directory integration. cPanel also offers auto installation of SSL certificates, IP address denials and directories that are password-protected. Plesk runs on Linux as well as Windows server while cPanel works on Linux-only. Windows server compatibility is achieving, only by tuning and fiddling. The Linux distributions that support cPanel are CentOS, CloudLinux and Red Hat Enterprise Linux. While application- based support includes PHP, Apache and MySQL and email-based support includes POP3, IMAP and SMTP services. Plesk works with 14 Linux distros that include CentOS, Debian and Ubuntu along with being compatible with Windows servers. If you think of cPanel removal, there are no uninstall scripts available and therefore, it isn’t possible to remove panel. In terms of Plesk, there are uninstall scripts available but it isn’t recommended. When you need to scale up your service, the greatest difficulty is to maintain the configuration level of multiple servers. It isn’t an easy task to login to each server and run updates each time a new release or security update is published. Multi-server clustering functionality is provided by cPanel, where the admin can login to the master and update all servers with a single command. Plesk doesn’t have such capability right now and you require an add-on called Plesk Automation Services to perform such tasks. One of the main reasons why people prefer using cPanel in place of Plesk is because cPanel is cheaper! The basic cPanel shared hosting package as well as basic Windows shared hosting package offered by MilesWeb costs $1.52 per month. Plesk / cPanel licenses are usually provided as a part of the hosting package; however this depends on the type of hosting package you are purchasing. 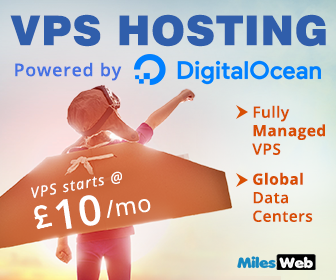 For instance, if you are purchasing a shared hosting package from MilesWeb, you don’t have to pay any additional amount for a license; if you opt for higher packages like VPS or dedicated, you can buy Plesk / cPanel license according to your preference. cPanel comes along with WHM (Web Host Manager) and this is a standard attribute. The shared hosting users will never use WHM unless they upgrade to a higher package liker reseller hosting or VPS hosting. Generally, the cPanel interface is for the website owner whereas WHM is for the server administrator. Even though cPanel and WHM are linked, they have different systems, different logins and different interfaces. Plesk consists of a single login for the administrators and users. Although there is some similarity in cPanel and Plesk, the options and features offered are quite different. It is important to consider the interfaces of both the control panels before making the final decision. Perhaps the biggest and the less desirable difference between Plesk and cPanel is the migration of the website from one server to another. Both Plesk and cPanel simplify the process of migrating a website from one server to another assuming that you are moving your website through the same control panel. Moving from one control panel to the other is nearly impossible! Once you select any particular control panel, its best to stick with it. Both the control panels Plesk and cPanel are stable, fast and secure. Since the inception of both these control panels, when one has advanced, the other has caught up quickly. If you are new to web hosting, look for a web hosting company that offers demos / tutorials of both the control panels and try them out to get a better insight. For the existing web hosting users, website migration is a big issue. If your website is hosted on a Plesk or cPanel system now, then avoid changing the control panel unless it is extremely important. If you change the control panel, you will have to learn the new control panel interface from scratch and migration issues will give you a nightmare. MilesWeb has a solution for you no matter which control panel you want and what your hosting specifications are! Go through MilesWeb web hosting plans and make your choice! Both control panels are equally important in business. Sometimes it is difficult to choose between two. But the way it is explained in same blog, customers definitely feel easy to select best one. Appreciated hard work. * WHM isn’t actually short for Web Host Manager, it’s just plain-old WHM. The difference between the two control panels is perfectly elaborated. 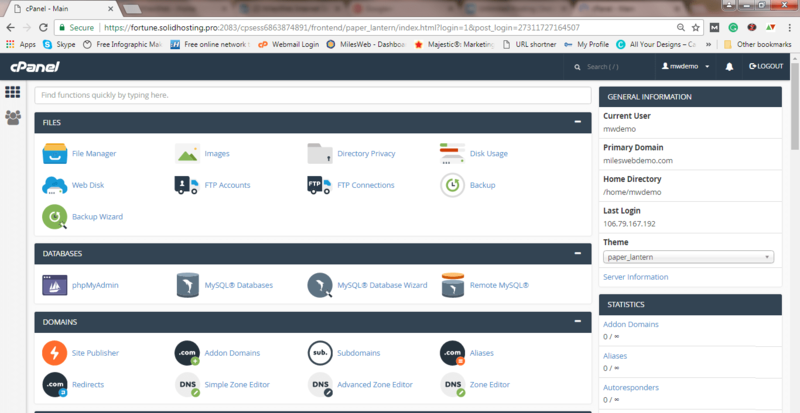 I have used cPanel and it’s amazing because of the user-friendly interface. Indeed informative article. Thanks for sharing! Plesk control panel offers a clear and impressive interface. Plesk is more flexible. You can easily use it on any of the operating systems. The difference between Plesk and cPanel is perfectly illustrated in this article. Nice sharing. Thank you! MilesWeb serves you the best in class service and support for the Plesk and cPanel control panel. So if you’re a newbie in the market and want to explore your website with anyone of the mentioned control panel then MilesWeb will be the right choice for you.